Sound Bites: Happy Hens / Station North Food Hub / What’s Your Kitchen Literacy? 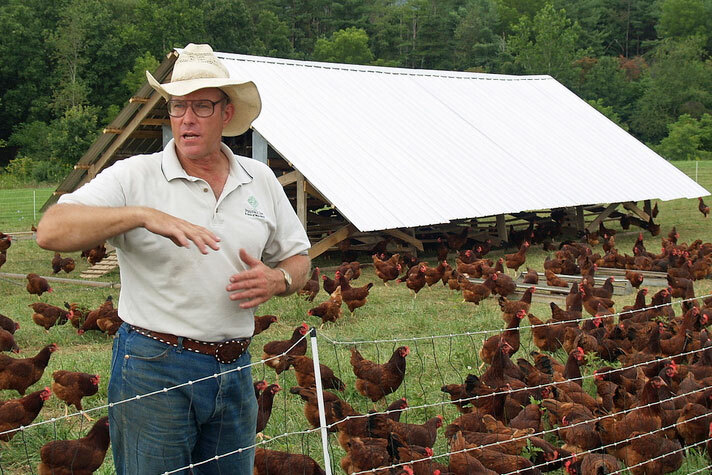 This week on Sound Bites, we begin with Joel Salatin, full-time farmer in Virginia’s Shenandoah Valley at Polyface Inc., “The Farm of Many Faces,” and author of Folks, This Ain’t Normal: A Farmer’s Advice for Happier Hens, Healthier People, and a Better World. Then, we talk with Liam Flynn and Steve Marsh of Open Plough, a Baltimore-based coalition of farmers, entrepreneurs, educators, and chefs, working to build a food hub for local residents in the Station North neighborhood of Baltimore. Flynn is the owner of Liam Flynn’s Ale House in Baltimore, and Marsh is a chef, brewmaster and farmer. How good is your kitchen literacy? We close out the show with Ann Vileisis, author of Kitchen Literacy: How We Lost Knowledge of Where Food Comes from and Why We Need to Get It Back.